In 30 minutes you can serve your family a hearty and delicious soup! Easy-peasy yumminess in a bowl! I have been making quite a lot of soup this winter season. You may think, well, that’s pretty normal for the cold season. Perhaps but it’s not normal for me. Since the Philippines is a hot country with only two major seasons – wet and dry – which incidentally are both relatively warm (hot!) weather, you won’t often find soup on a Filipino’s daily menu. Besides that, soup, like tea, when served, is often associated with an ailment or being unwell as that’s often what’s given to anyone who has been afflicted with some illness in the Philippines. Having this background, you can imagine, I am not much of a soup person at all. However, this winter I have been cooking soup almost every week!! What a transformation. It must have been the weather!! While winter has been pretty mild this year so far compared to previous seasons, we did get some good amount of rain and of course there were those gloomy days which motivated me to make soup to warm our tummies and our hearts, too! One of the delicious soups we have enjoyed is this Cheese Tortellini Soup with White Beans and Kielbasa. I know the name is quite a mouthful but I wanted to be sure all the ingredients that make this soup yummy are mentioned prominently and not left-out. So it’s not just your usual cheese tortellini soup – its loaded with beans and sausages, too!! The best part, it’s so easy to make and everything is done in 30 minutes or less! See below for the ingredients you need. So make sure to enjoy this before winter ends! Don’t forget to generously add cheese all over the soup as it surely makes it even more delicious!! Enjoy hot! To print recipe, click on the above icon. Click on the “images” dropdown menu and choose “remove” for easier printing. Heat the oil in a Dutch oven or a heavy-bottomed pot over medium heat. Cook the sliced kielbasa until browned. Add the chopped onion and garlic and cook for another 3-4 minutes or until the onions have softened. Add the broth slowly scraping the brown bits at the bottom of the pot. Stir in the dried or fresh thyme. Bring the broth to a boil. Stir in the kale and beans and adjust the heat to low and simmer until the kale is wilted. Add the cheese tortellini and continue to simmer for 5-7 minutes or until the tortellinis have puffed up. Season with a little salt and pepper. Spoon into bowls and sprinkle generously with the grated cheese. Don’t skip this as this makes the soup really yummy! Enjoy immediately! I love recipes that you can prepare in under 30 minutes. And soup really is good anytime in my opinion..Especially on rainy days! This looks so satisfying and I love the addition of white beans. Thanks Stephanie and hope you get to try it! Love the sounds of this totally delicious soup. Comfort food for sure. Perfect for this freezing cold weekend we are having right now. Always a great way to enjoy tortellini. It's gotten cold here too so this soup is perfect indeed! Thanks Gloria! Yum!! Tortellini sounds amazing right about now, especially since it's cold and cloudy here. Perfect comfort food! Love it! Comfort food indeed! Thanks Christine! I love tortellini soup but so many recipes call for a cream-based soup, and I love that this is broth-based! The kielbasa and white beans makes it the perfect flavor combo. Looks so yummy! Just broth for this one. Thanks for stopping by! Wow I love this tortellini soup, especially how you add kale, bean, thyme so yummy! I certainly will. Thanks Byron! could this soup be any easier and delicious looking?! I love the addition of beans and kale. What a hearty soup this is! Kale and beans sure add bulk and certainly good nutrition, too. Thanks! I love tortellini in soup – it makes it feel so much like a meal. This looks delicious for this remaining winter days! Perfect antidote for the cold weather for sure! Thanks Julie! I have those soup bowls! I love putting pasta in soup, it makes it that much more satisfying and hearty. I fully agree! Thanks Kylee! This is simple and filling soup, I like tortellini adding kale and sausage make it more perfect meal option. One pot meal for sure. Thanks! It is winter perfect for sure! Thanks Donna! This is a loaded soup and would perfectly work as a dinner choice on a weeknight with some crusty bread. Pasta in soup is something that my kids love and cheese tortellini is a great choice. Under 30 minutes, delicious and this filling – I'm so ready for this tortellini soup! We love Italian recipes and tortellini is one of our fav, so I'm bookmarking your recipe to try in future. 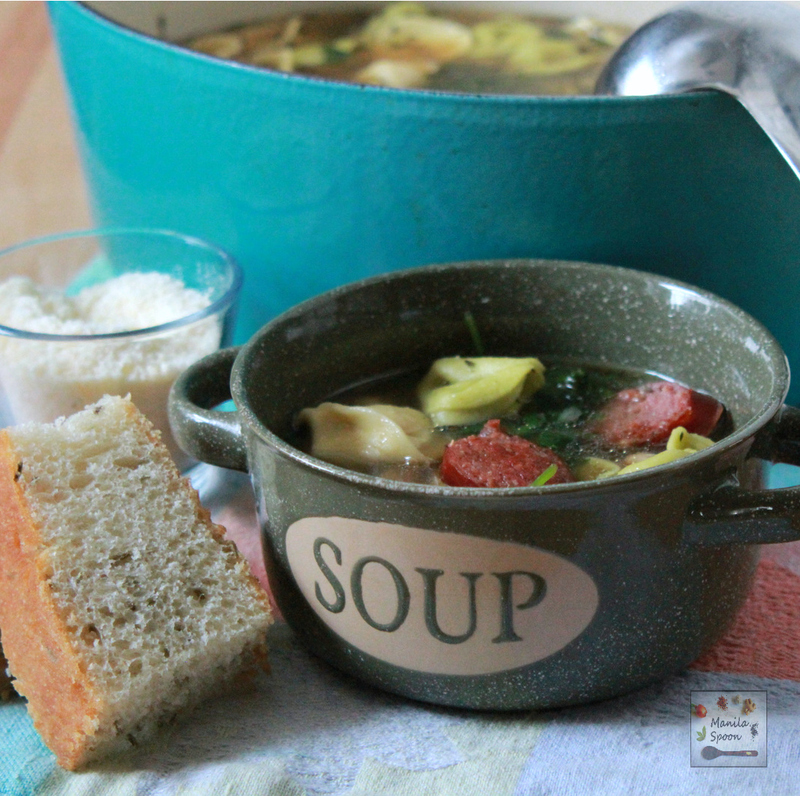 Yup, people associate soup with illness but SOUPS are awesome! 🙂 I love soups. I prepare it at least 3x a week, no matter what season. This tortellini soup looks amazing. 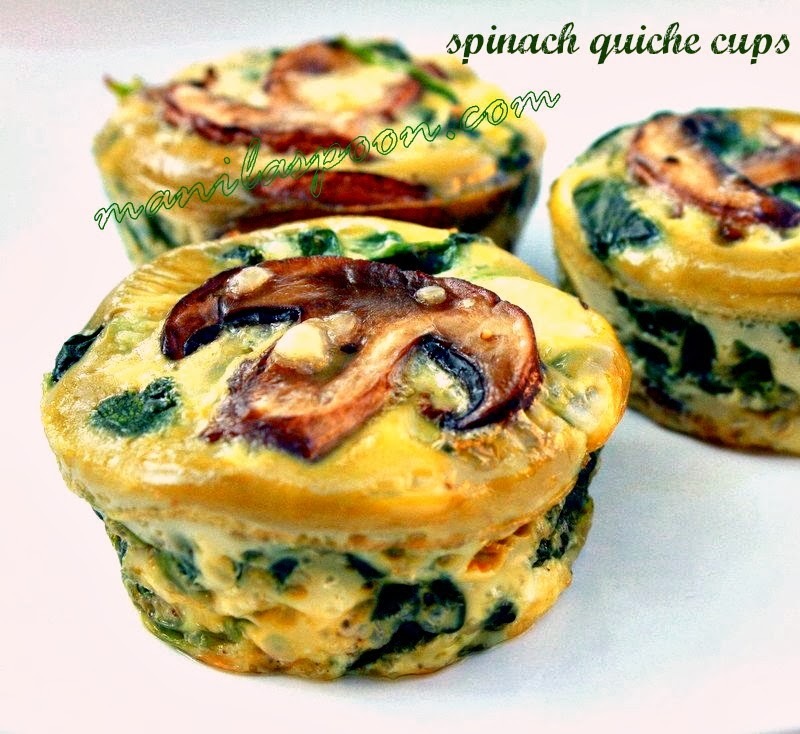 It's super healthy, nutritious, easy AND delicious. Perfect for any day! Can't wait to try it! Thanks Natalie! Hope you like it!